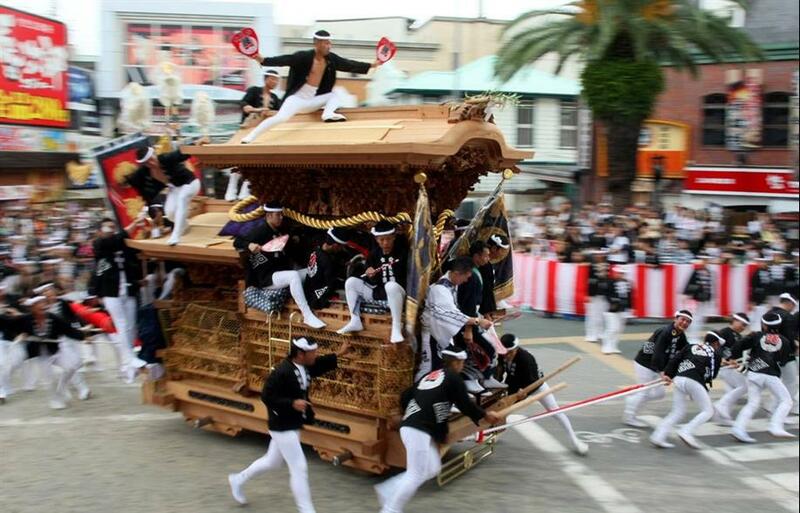 Home > Festival > Kishiwada Danjiri Festival, a race of strength and speed! 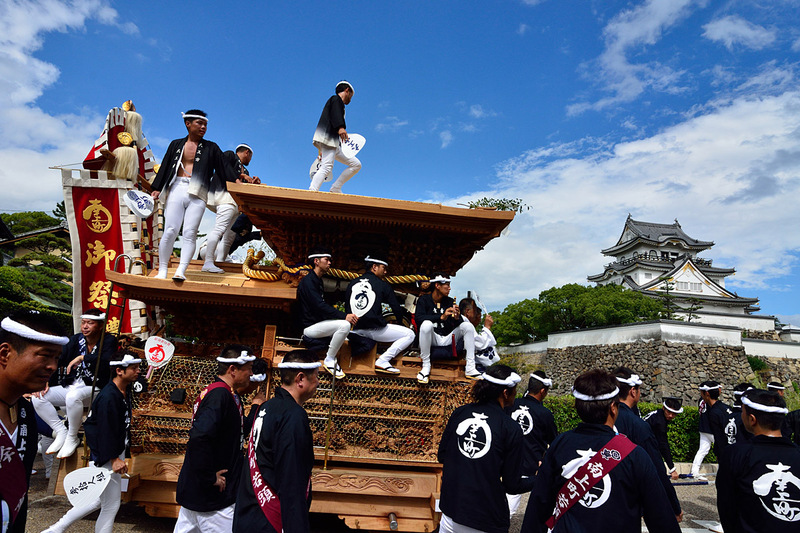 Danjiri Festival is a cart-pulling festival held in Japan, especially in the Kinki regions. The terms ‘danjiri’ means a large wooden cart in the shape of shrine or temple. This festival is originally a ritual ceremony held to pray for good harvest. 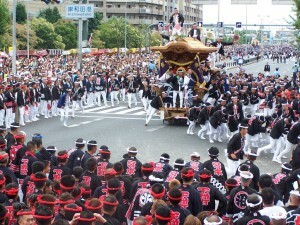 In this festival, vigorous men pull the gorgeous danjiri through the streets in 70 areas in Kishiwada. The most exciting sight is Yarimawashi, when danjiri turns at a corner without reducing its speed. 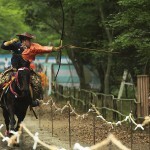 This thrilling and stunning parade is a tradition with 300 years history and also a pride of Kishiwada. This festival is held twice a year in September and October. Normally, you can enjoy the parade from the streets for free. But there is also ticket for bleacher seats at Danjiri Matsuri. Bleacher is a seat for watch Yarimawashi at Kankan field. From the bleacher seats, you can watch the whole parade from a safe distance. The tickets for September Ceremony will be on sale from July 18. The ticket can be purchase from a ticket dealer website called Ticket Pia (チケットぴあ). The cost varies depending on your seat type and date. The price ranges from JPY 1000 yen to JPY 7000 yen. It a term used to call is a traditional skill in turning Kishiwada danjiri at corners. The charm of Yarimawashi is how the pullers make a splendid turn without reducing their speed. Popular places to see Yarimawashi are Kankan Hiroba Square and in front of Kishiwada Station. 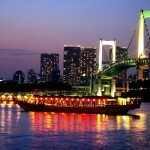 However, it is better to go to Funatsu bridge or Rankan bridge, or Kitamachi crossroad or Kikuemon bridge, as fewer people are expected there. If you do not like to watch in crowded, please go to Haruki area (in September Ceremony) or attend October Ceremony instead. It will be less crowded but vibe of the festival is not lesser than that of the September Ceremony. Take Nankai Airport Line to Izumisano Station, then change to Nankai main line and get off at Kishiwada Station. Take Osaka City Subway to Namba Station (Midousuji Line), then take Nankai Main Lne to Kishiwada Station. Kishiwada station might be very crowded during the festival, so we recommend you to use Takojizou, Izumioomiya and Haruki Station instead. These stations are very close to Kishiwada Station. 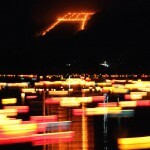 Yarimawashi is can be very dangerous activity, so please follow instructions of festival staff.